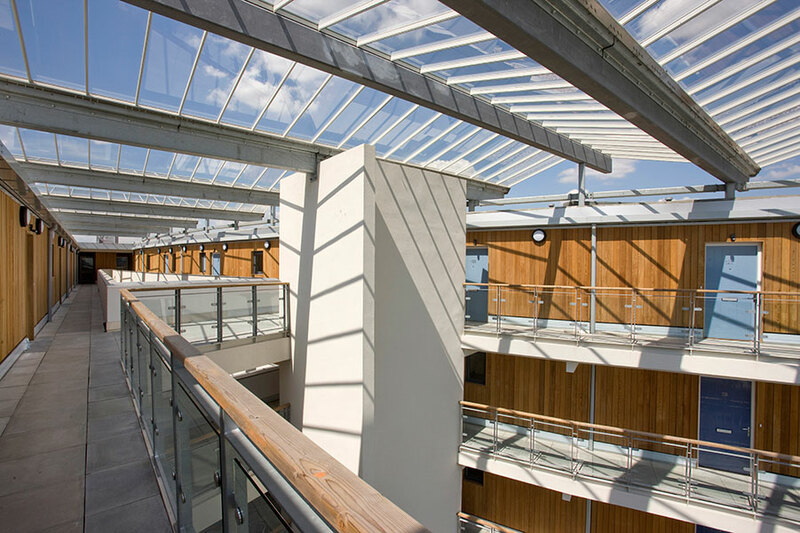 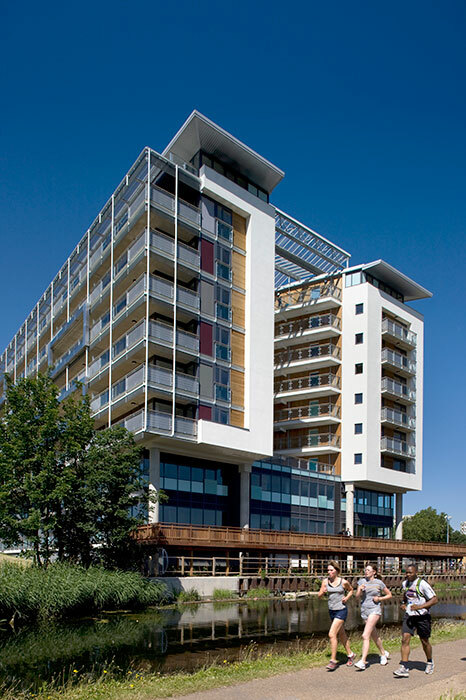 The completion of Suttons Wharf South formed a significant part of the London Borough of Tower Hamlets’ regeneration strategy for linking Meath Gardens and Mile End Park. 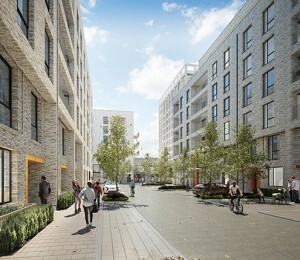 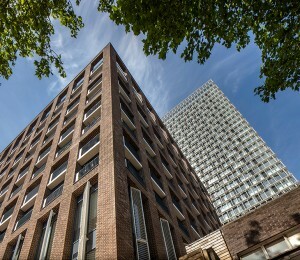 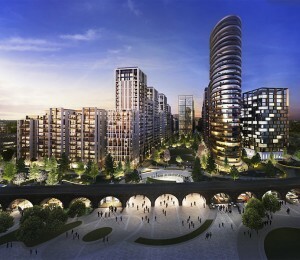 The scheme compromises a mixed use development of 169 waterside apartments, regional offices for One Housing Group – bringing a major housing provider back into Tower Hamlets – and a canalside cafe, with the residential accommodation in a mix of one to three bedroom single level and duplex apartments. 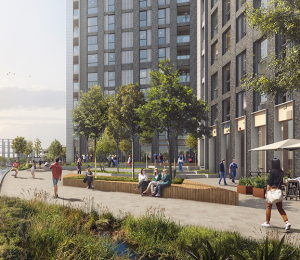 The scheme extends nearby Meath Gardens to link up with Mile End Park, which is directly opposite the scheme on the east side of the canal, through the provision of a new footbridge providing pedestrian links to Mile End tube station and the canal tow path. 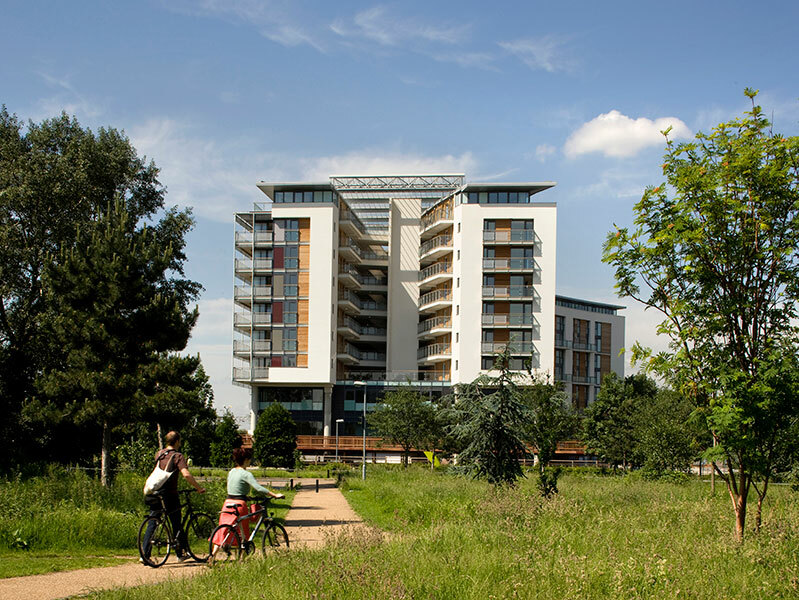 A substantial part of the site on the Regent’s Canal has been redeveloped as extensively planted parkland amenity and the former warehouse site has been dramatically improved. 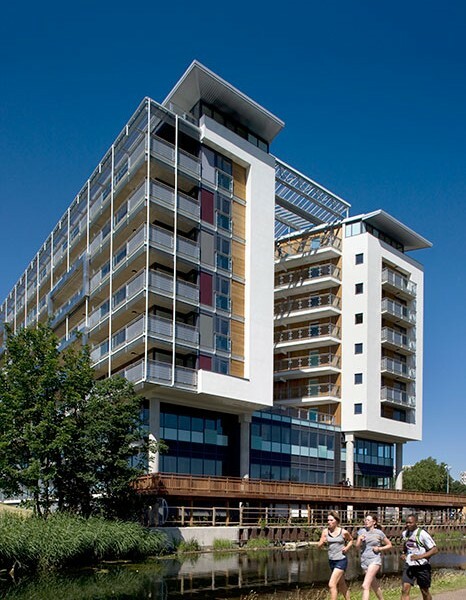 New soft landscaping was created with indigenous tree and woodland planting to the parkland and a canalside wildlife buffer zone with floating baskets and wetland planting was created to improve biodiversity and provide a habitat for wildlife along what was formerly a concreted canal embankment.